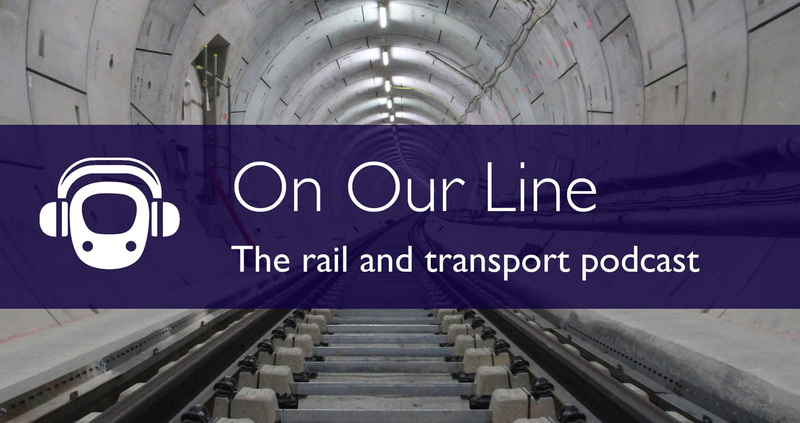 In the latest episode of our On Our Line podcast series, Nicole discusses the architecture and design of Crossrail’s stations with architecture critic Hugh Pearman and Crossrail’s Head of Architecture Julian Robinson. Tune in to hear about the design vision for Crossrail and how it was implemented. Our guests elaborate on the guiding design principles, what was learnt from London Underground and the challenges to implementing that vision. In addition, they discuss how the Transport for London brand and the new unique Crossrail identity were woven into the fabric of each station to create familiar, easily navigable stations that also reflect their history, character and community. Julian Robinson is Head of Architecture at Crossrail Ltd. He is in charge of delivering a coherent design for Crossrail’s new and upgraded stations by working with Crossrail’s many partners. Julian has described his vision for the new railway line as one that seeks to “balance the uniqueness of the Jubilee line stations with the rigidity of Holden and Pick”. Before moving to Crossrail to head its architecture team, Julian worked on the transformation of St Pancras station and the extension of the Jubilee Line. Hugh Pearman is a London-based architecture and design critic. He is the editor of the Royal Institute of British Architects’ monthly magazine RIBA Journal. He was The Sunday Times architecture and design critic for 30 years, from 1986 to earlier this year. Hugh was a Visiting Professor in Architecture at the Royal College of Art in 2015. He served as Vice President of London’s Architectural Association and is an Honorary Fellow of the Royal Institute of British Architects. Hugh’s books include the bestselling Contemporary World Architecture whilst his latest, Platform for Design, tells the story of the Crossrail stations’ design. It documents the design vision and approach taken, as well as the unique features of each of the 40 stations. Please I don’t mean this in a horrible way, you need someone new presenting these podcasts the person talking sounds so uninterested in the topic and has the most monotone voice. There is no passion or excitement vocally, we can’t see these people so we need them to bring what they are saying to life. Have fun with it. These are long podcasts and I’ve never made it to the end because I just find the presentation too dull. It’s a shame as I’m always really interested in the topics. Ryan Epps: That doesn’t make any sense. 95% of the podcast is given over to the guests so to claim that you don’t make it to the end because of the presenter, even though you’re ‘really interested in the topics’ is fatuous. Seems an excuse for quite a nasty personal attack if you ask me. I wouldn’t go so far as to say these are terrible, as a number of BBC Radio programmes have a similarly dry and clinical delivery. This suggests there is an audience willing to listen to this style of podcast. However, to me, these podcasts sound too academic: like Open University lectures broadcast circa 1976. I find them impossible to listen to for any length of time without picturing flared trousers, loud shirts, and rather too much hair. That said, I do think an audio-only podcast might not be the best medium for a discussion on a highly visual field like station architecture. This is one instance where a video podcast might have been a better choice. To confirm, comments taken in the spirit they are intended at this end! And yes – the overall style is deliberate. We’re not in the business of “here’s ten cool things about Euston/Crossrail/the Underground!” in print and we’re not in that business when it comes to audio either. There are plenty of other good reads and listens that do that far better than we could, or indeed would want to (Londonist Podcast is worth a listen in that regard – indeed I’ve been on it myself a couple of times). Our goal was/is what Anomnibus identifies – more of a Radio 4 or History Today feel, with a goal of getting out of the way and letting the guests talk, not us. Totally appreciate that isn’t to everyone’s taste, but that’s fine, if that kind of podcast isn’t your thing then there’s no need to listen! Ultimately, our goal with the podcasts is the same as with the site – to provide extra information and insight from experts, not simply to emulate or cover the same ground as others. A decent video podcast with graphics and location inserts costs more than you probably imagine unless you want it to look amateur in a fuzzy, unlit, wobblyvision kind of way. Exactly. And would thus fall foul of the first rule of LR: Don’t do it unless you can do it well. I do find it curious that the speakers state that Thameslink is different, being a primarily over-ground railway, than Crossrail 1, which they claim is somehow different. To me they are both regional express railways, with more stations and more intensive service, and both being underground, in central London. Furthermore, from the passengers’ perspective, both broadly provide the same transport function, being additional, central and cross-London speed and capacity. I thought the first rule of LR was don’t talk about extending the unmentionable (in either direction)? That’s the unspoken rule. There’s a difference. Re JB: History Today as in The Mary Whitehouse Experience? Whilst the content was interesting, I have to agree that this particular subject was not well suited to an audio podcast format. Perhaps a transcript with some example pictures would be have been more suitable. Well, I see I didn’t sufficiently self-moderate… my original comment was far worse! Indeed, there be dragons. One is part of the National Rail network, and with a dedicated central core having five stations across Zone 1 but fanning out into two branches in outer London sharing tracks with other operators, and with some services extending into the Home Counties. I’m a big fan of LR in print, been reading for years. However the podcasts don’t match up. The same editorial rigour, sense of authorial voices and level of insight is not brought to bear. Too much droning from well-intentioned people. Needs better presenting, better editing, better questions, shorter responses, a mix of formats and to be considerably shorter overall. I personally am a fan of the podcasts. However for some topics where there is more need for images, links, context etc it may be that there is a format worth exploring in the curated webchat. fivethirtyeight.com the US statistical, politics and sports site is one of my favourite sites and has a similarly authoritative tone and reputation to LR. They regularly do webchats featuring 3-4 people bringing together their writers and contributors with guests to cover a range of topics. I believe they use Slack to create these chats virtually which they then edit and publish afterwards . Allows the informality of chatting with guests while giving more links through to related subjects. From what they’ve said it does take more editorial time to produce than a podcast though. I enjoyed that podcast. The two interviewees worked together very well, and Nicole simply provided links as the emphasis of the discussion changed. It helped to have already had an LR online article on the architectural treatment of the stations and I mentally referred to that as I listened. Excellent! Given what was said about how essential features are being combined in order to eliminate clutter and give a unified look to the stations, it did make me wonder if a retrospective makeover of some of LUL’ s station could be afforded. Too many of them have accrued essential ‘junk’ in an uncoordinated way. A good tidy-up could work wonders for the passengers’ visual experience. The tragedy is that the purity of original design intentions clashes with the realities of every day life. Note for example the spread of laminated notices to enhance designed signage, the sprawl of commercial display and marketing material around shop facades, temporary fixes that become permanent, moveable objects that are too much trouble to put back into store, loose power cables that are never replaced by proper fixed ones etc. etc. Architects really hate this – didn’t Lord Foster have some cutting remarks to make about what was done to “his” terminal at Stansted? You need really effective management on the ground to keep the visual experience at its best; and other priorities and the lack of decent visual education in the UK’s schools (generalisation I know) mean that this is rarely prioritised. @ Westville 13 – in my limited experience “vested interests” in organisations lie in wait for new projects like new lines / stations / refurbishments to be completed and for the architects to have walked away. Once the “coast is clear”, so to speak, they then bring forth their long hidden list of demands that the project architects would have refused to entertain. Compelling arguments, usually money, are then put forward to ensure that what restraints might have existed to preserve the architect’s design are whittled away and their list of demands are therefore met. A tiny example that drives me mad – the plastering of visually revolting advertising all over ticket gates. You wouldn’t believe that we actually paid decent money to design the later generations of ticket gates to ensure they had a chance of fitting in properly in a wide range of station styles. And then you stick garish plastic gunk all over them. Ugh. I am sure there are multiple other “pet hates” that we don’t need to visit here but it will be interesting to see if anyone is able to manage the post Crossrail project “backlash” which will inevitably occur. You should have heard some MPs blunt responses to the Architects of Portcullis House moaning about filing cabinets in offices. @ Alan Griffiths. I think your example possibly illustrates a failure of the architects. Filing cabinets in useful positions are hardly an innovation in office environments and how they could be fitted in should have been part of the architects’ planning. I understand how the accumulation of junk occurs. It’s a practical thing initiated by practical people. Architects are employed because of the very special way they can look at a space and see ways of making it into something more than a cluttered collection of ‘things’. Trouble is, they are expensive! I was suggesting that maybe LUL could get some in occasionally to look at their more important stations to suggest ways the clutter can be contained. One comment I picked up in the podcast was a very valid one. The train indicator screens on platforms are quite often obscured by some other piece of equipment. That is very true. It is also a potential waste of an expensive piece of kit. That is the sort of problem that a ‘clutter review’ should be looking at. @Alan Griffiths – people will be people (you don’t live in a show home,do you?). I was reminded of this when we – and various political luminaries (such as Geoffrey Howe**) – attended the opening of the East Grinstead electrification.Shiny new ticket office – alas, the inhabitants had already covered the glass screens with sellotaped* notices warning the public about this and that. @Fandroid -I once raised your point about “conflicting clutter” with a tube line manager of my acquaintance. His response was that the problem was the raft of cabling behind the tiling – any solution would lead to much of the station being completely stripped and reclad. * interestingly, the sellotape seemed to have been supplied in the “already pre-aged ” form. A very good presentation – being someone who likes these things ‘as they are’ rather than made artificially more exciting. If it were done as a video, there would have been only a limited stock visuals of the stations that we’ve all seen already, so it would mainly have been three heads talking around a table anyway. Any further material would involve extra hours spent filming things like the street locations as they are now etc. and more hours still in editing. I would go as far as saying it’s a case of audio-only actually bringing more depth to the subject; it was more about the process that these people are involved in, and all the thought that goes into it, rather than describing what the finished result will look like. Fascinating stuff. Speaking as an architect, a certain reputation seems to precede us, so it was reassuring to hear how some are more team players/pragmatic than others. I do a lot of public buildings, and know that the blu-tac and sticky tape will break out pretty well anywhere, and there is no way of ‘designing it out’, however well placed the signage and noticeboards may be. Another example of this is when we specify built-in soap dispensers in the toilets, the users often don’t bother with buying the bulk refills for decanting, and just place loose squeezy bottles bought from around the corner on the basins instead. It’s just pragmatic life taking the easiest course. As for the mechanical and electrical services, the tactic I try to use is to have every space that needs to be smart to be paralleled by one that doesn’t, and to put all of the conduits on the other side of the wall. Doesn’t always work out like that. Harder still in tunnel spaces. If it’s not easy to get the cladding off, it won’t happen for ad hoc odd jobs. I have also noticed how the accumulation of new cables out-grow the containments and ceiling voids provided. I think it is a bit hubristic to say you’re designing to be timeless. In 2040, the Crossrail stations will look as 2010’s as the Jubilee line extension stations look 1990’s today. That doesn’t mean they look bad. But, Mr Designer, you are not the Bajoran Prophets. Similarly, Charing Cross tube ticket halls are about to be updated because they look so 1970s. The Crossrail stations will inevitably look dated in 50 years, as fashions change, but hopefully they will not feel claustrophobic and cramped. The best examples we have of building to last are the Victorian mainline termini – still fit for purpose and aesthetically pleasing 150 years later. @Josh – it may even be a Good Thing to have buildings with a specific function from a wide range of stylistic periods- as with cathedrals , for example. I expect future generations will be most put out at the removal of genuine period features from Charing Cross. And at the demolition of the CLASP building at East Grinstead, a neglected classic of design… well, maybe not. John Elliot…….When the Jubilee line/Northern Line entrance at Charing Cross opened, I thought it was naff. Lime green was already out of date by 1977/8. That and the decidedly low rent decoration of the surrounding subways always looked poor in my view. Do we want to retain period features even if they’re naff? I really don’t think that people will view the Jubilee line extension and Crosrail as the same as earlier Post War work. The standards in design and construction are just not the same. @130 – – well, yes, many might agree with you now, but remember 50 years ago, St Pancras (and many other Victorian buildings) were regarded as “naff” and ripe for redevelopment. How they loved beton brut!. Now… [Of course, we all mock those who loved Lasdun’s “Mexican prison” style but I fear that someone will love them again ere long]. There is far much emphasis these days in modern buildings about there being negligible storage space – no personal desk space, moveable pods and no filing. Ludicrous given we have not abolished paper nor have we educated workforces and permitting enough time in the working day to professionally store and archive electronic documentation. So much information is going to be lost for future generations and historians. 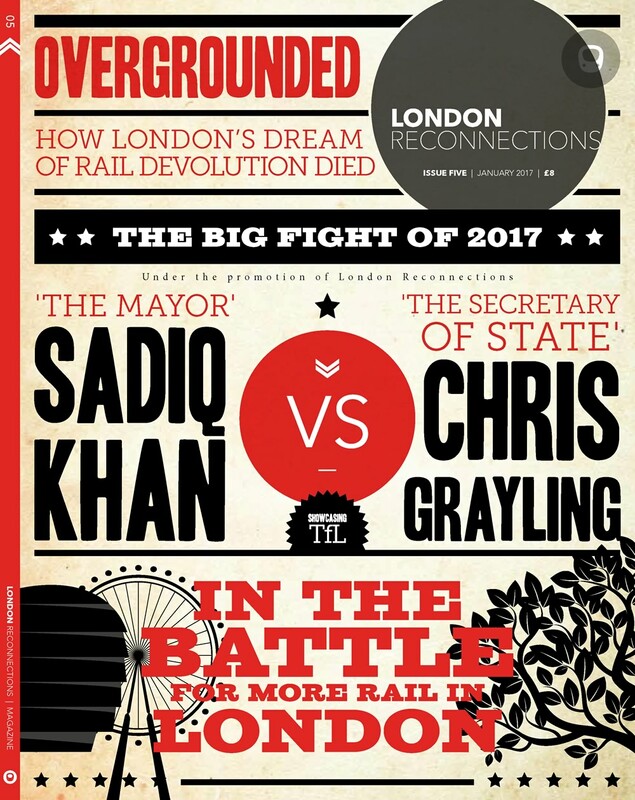 @ ChrisMitch / 100&30 – I read with dismay the announcement about refurbishing Charing Cross LU stations. Now we can all question the colour scheme but the general design of the place is “of a time” and LU now seems to be in the throes of progressively turning the entire Underground into a some sort of ghastly “hospital ward”. If CX is to be “idiomised” then I think that will be appalling. Thank goodness I took a couple of snaps of CX when the ticket office was still open and working. I’ve noticed on recent travels an apparent desire to remove the old style Victoria Line tiling. Now OK it’s not a thrilling colour but the line has (well had) an overall “feel” but it’s losing it. I think that’s wrong. And as for the new “splash jazzy tiles on the wall where there used to be a ticket office” tactic (as at Blackhorse Rd) – oh dear. I also noticed, last week, the parlous state of some outer suburban stations on the Met Line. Hillingdon is in a dreadful state and it’s relatively new. Looks to me like someone chose some poor quality materials and finishes that can’t cope with the rigours of British weather and average levels of maintenance. I was pleased, though, to see the old style platform indicator at Uxbridge was fully functional. @WW Disagree – busy tube stations are not the place to be preserving tired designs in aspic. Charing X is an incredibly unwelcoming station. @WW Agree – I may be mistaken, but it seems that Pimlico is the only Vicotria line station left intact with the full combination original tiles, backlit roundels, and white-on-blue frieze. I know the ‘clinical’ blue/grey was seen as drab by many, but the pinky/grey currently taking over Victoria isn’t particularly less so, and I find it a bit disturbing that it’s being applied equally to the SSL and deep platforms in blanket coverage. I thought that the Idiom was supposed to highlight the differing character of the various phases of development. The detailing of the GRP cladding looks a touch coarser than on the artists impressions, but the curvy transition from platform to access tunnels is a good idea. Probably for the best that it’s not lime green. The “Victorian style” has not been considered aesthetically pleasing throughout the time since it was built, eg. Euston. @ Anon – is Charing Cross LU “unwelcoming” because of the ticket halls themselves or the Westminster City Council subway complex? I wouldn’t argue that the subway connections are horrible and a lot of work could and should be done to sort them out. We must agree to differ about the ticket halls and their colour cladding. By all means refresh the ceilings and floors and the lighting if you wish (or asset condition warrants it) but the thought of yet more acres of white tiles and grey borders and blue handrails fills me with no delight whatsoever. The bold use of colour in the CX ticket halls may be unusual but to me that’s the point – it’s now rarely seen and we’re about to chuck it away. I’m not sure that the original Euston station was considered unaesthetic in the 1960s. The problem was that it had become increasingly impractical to operate, primarily because of the large complex of buildings such as the Great Hall which had originally been on the departure side of the station but because of later expansion were now in the middle. I like the clinic look. It has clean look, as you might associate. I never liked cream or green as a colour. Cream looks like white that has been stained, so it look unclean. Green is an unfortunate colour to use in subways where a perennial concern is people urinating in them. It just foreshadows things. (a) How little Victorian buildings were appreciated even 60 years ago – Betjeman was regarded as a typical English eccentric for doing so. I’m with Josh in liking my metro to look – and be -clean and, yes, of course, preserve the best historic features but do recognise that even these features were modern at the time of their installation but do now look dowdy and tired. This goes especially for the use of green and cream! (I would make an honourable exception of Misha Black’s work on the original Victoria Line stations and trains which managed to achieve a timeless sleekness very much at odds with the general run of industrial design at the time). Could the volume level on the podcast file be higher? Anyone who finds it too loud can always turn it down, but there’s (obviously) no way to increase the level beyond the maximum of the device being used. My phone’s maximum volume is quite low (presumably to stop me deafening myself with loud music) and I struggle to hear the podcast over background noise. May I second Andrew S on the volume – it is indeed very low to the point that the wind drowns it out on my commute, which is not the case with other podcasts I listen to (including comparable talkative ones). To add to some of the comments made above, I know you’re not wanting to make a buzzfeed-style podcast (and that’s fair enough) but there are some changes you can make to improve the already-very-promising podcast and make it more listenable. I am very interested in the subject matter but I often can’t finish the podcast because I find it excruciating at times. The interviewer obviously knows her stuff but just lets the interviewees/guests talk and talk and talk without any real structure or guidance. Then to make matters worse, a 5 minute block of speech is ended with the host asking a completely different question and we are back to the guest again. There are many successful podcasts out there where guests are interviewed over several hours. The key to them is that they have to be a conversation and not a job interview. The job of the host is not just to extract as much information as possible in the time allowed! Keep it up! In my experience, podcasts tend to take 5 episodes or so before everybody finds their groove. As someone who has edited interviews for DVDs, I’m aware of what’s possible. I wasn’t suggesting anything as complex as The Londonist’s excellent videos, but even two people sitting in chairs talking to each other on a stage can be made to look and sound interesting. Richard Herring offers a number of excellent examples, though I admit, being (a) a professional comedian, and (b) having done over a hundred such interviews probably definitely helps. That said, there’s plenty of software out there that lets you attach an audio track to a slideshow, which may be all that’s needed for a podcast like this. I’ve even used Apple’s Keynote presentation software to produce graphics for a video. For Windows, there’s Shotcut if you want a decent video editing package for peanuts. For Macs, iMovie will do, (though I use Final Cut myself). My point is that there are many more options for producing synchronised visuals than there used to be, so I wouldn’t dismiss the idea out of hand. It can be a lot easier than you think. Another interesting podcast but once again when discussing images or video PLEASE provide links to these so we can look. I love this been a audio podcast but you really need to provide links in a ‘Show Notes’ as a lot of podcasts provide.